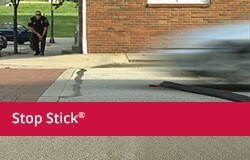 CINCINNATI, OH - MAY 27, 2015 - Stop Sticks®, the tire deflation device from Stop Stick, Ltd., just announced that it has awarded Seattle's King County Sheriff's Office with its prestigious "Hit of the Year" Award. Over 1,000 successful Stop Stick deployments from 2014 were reviewed in the selection process of this award. Based on the type of offense, success of the deployment and impact to the community, the committee selected Deputy Toby Larson of the King County Sheriff's Office for the recognition. In September 2014 Deputy Toby Larson ended the high-speed pursuit of a suspect who shot and wounded Duvall Police Sergeant Mike DeBock; suspect Joshua Kramer fled after a traffic stop. Deputy Larson successfully deployed Stop Sticks®, disabling and forcing the suspect's car off the highway. 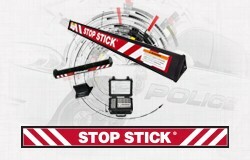 The deployment of the Stop Sticks® enabled Deputy Larson to capture the suspect. 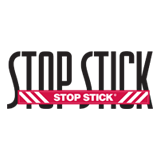 "Deputy Larson's quick thinking and strategic use of the Stop Sticks® was a situation that merited recognition", said Andy Morrison, President, Stop Stick, Ltd., makers of Stop Sticks®. Stop Sticks® have been utilized for many years with the King County Sheriff's Office, which employs over 1,000 employees and serves over a half million people in the Seattle area. 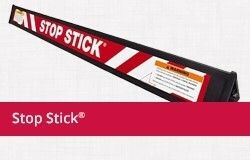 "Stop Sticks® significantly enhances our ability to do our job – ending pursuits that we could not end any other way, oftentimes with very positive outcomes", Sgt. Stan Seo, Media Relations Officer, King County Sheriff's Office. 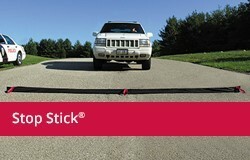 Stop Sticks® have been effective in ending pursuits by deflating the tires of fleeing vehicles. The system protects the public, deputies and suspects involved in these dangerous situations by disabling the vehicle and significantly reducing the speed of vehicles involved in pursuits.